Discussion: Contains no Trans-Fatty Acids or Preservatives and is not Hydrogenated. 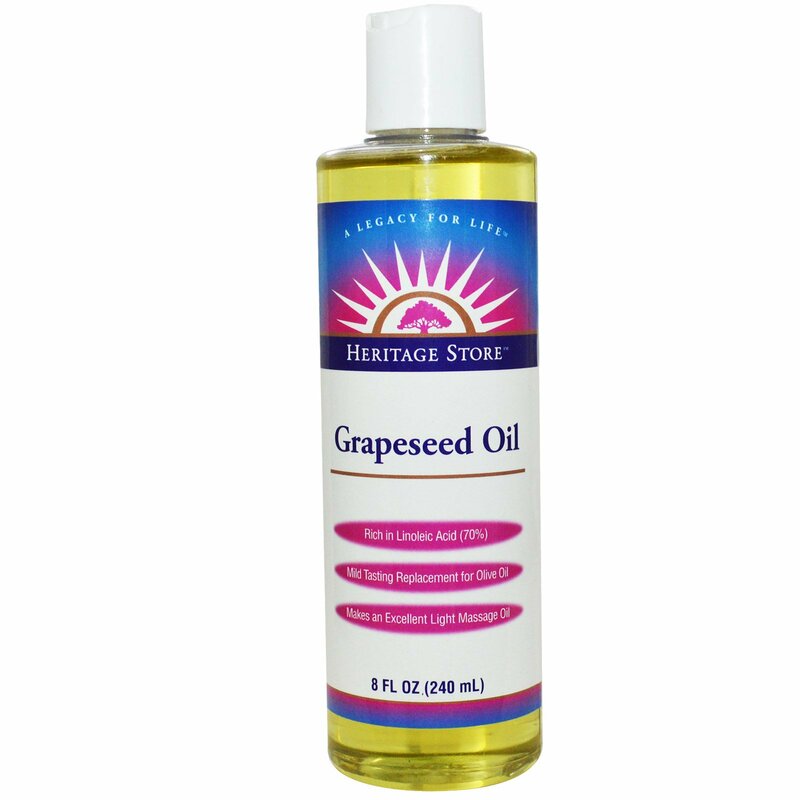 Grapeseed oil is naturally cholesterol-free and contains 24 mg Phytosterols. 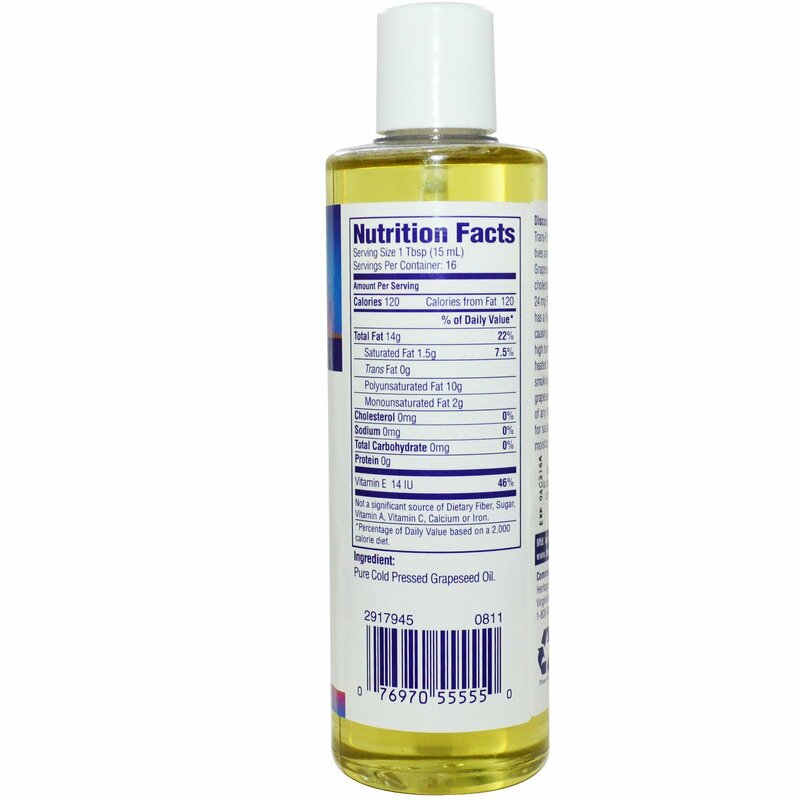 This light oil has a high level of Vitamin E causing it to be very stable under high temperatures. It can be heated to 485 degrees with no smoking or burnt taste. Versatile grapeseed oil enhances the flavor of any food and is excellent for salads. Use as a pure moisturizer and massage oil.